Jana and Robert Nairn, like many people in California’s agriculturally rich Central Valley, were raised in farming families. Despite Merced County’s place as one of the top agricultural counties in the country, the Nairns noticed that many of their neighbors couldn’t afford to feed their families the fresh produce that was abundantly growing all around them. Instead, 90% of the food grown in the county is sold for export into the global food market. Meanwhile Merced County residents who work to fuel California’s $45 billion agricultural industry, face a 37% poverty rate and an unemployment rate of 24%, making healthy food all the more out of reach. The Nairns believed that there had to be a better way, a way to keep some of the fresh produce local to feed families while improving business for small farmers. As Jana Nairn put it, “There’s no reason our community shouldn’t have access to the fresh produce grown here everyday.” It was this vision and commitment that propelled Ag Link into existence. 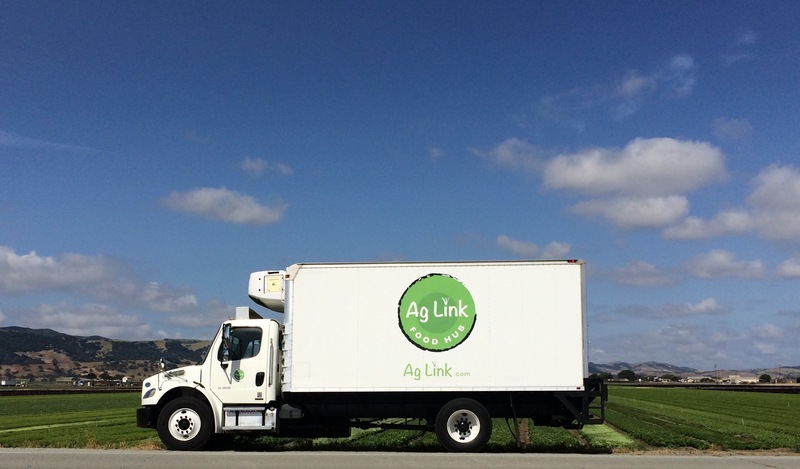 Based in the small town of Ballico, Ag Link started in 2012 as an online platform to connect local farmers and producers to school systems in the Central Valley. The goal was to grow the market for smaller farmers struggling to compete and to increase children’s access to healthy meals made from fresh, local produce. Schools in the Central Valley serve a large number of low-income families who rely on free and reduced lunches and snacks at school to nourish their children. By providing local, seasonal, delicious fruits and vegetables to schools, many children in farming communities were getting some of their first access to fresh produce grown where they live.